18" low-profile TA3F (left) to TA3F (left) cable. 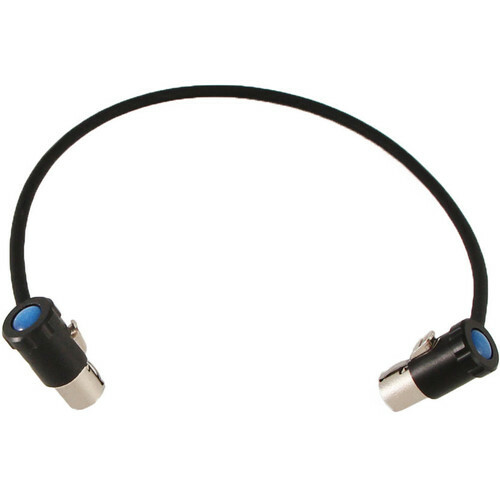 Perfect for Lectrosonics SR receivers with SREXT bottom or SRBATTSLED top into sound devices 788T TA3M line inputs. The Lo-Pro cables significantly reduce the profile of interconnect panels. The cable jacket diameter is a slim 2.7mm yet extremely durable. The Lo-Pro TA3F (Left) is specifically orientated to fit neatly left out of the TA3 connections on the bottom of the SR. The TA3F (left) fits perfectly into the 788T TA3M line inputs.